Nature can be a cruel mistress. 99% of the time, when you see a flower growing in the sunshine – a blowsy great tulip, say, or flawless peony – the ideal time to plant them has already passed. Months prior, in the cool of autumn. Not so the snowdrop, gawd bless it. As most hardened gardeners will tell you, growing snowdrops from bulbs is hit and miss at best, downright rage-inducing the rest of the time. The true way to guarantee swathes of delicate snowdrops at home in your own garden is to grow them “in the green.” A poetically horticultural way of saying “plants, instead of bulbs,” waiting until the flowers are just going over before planting them. 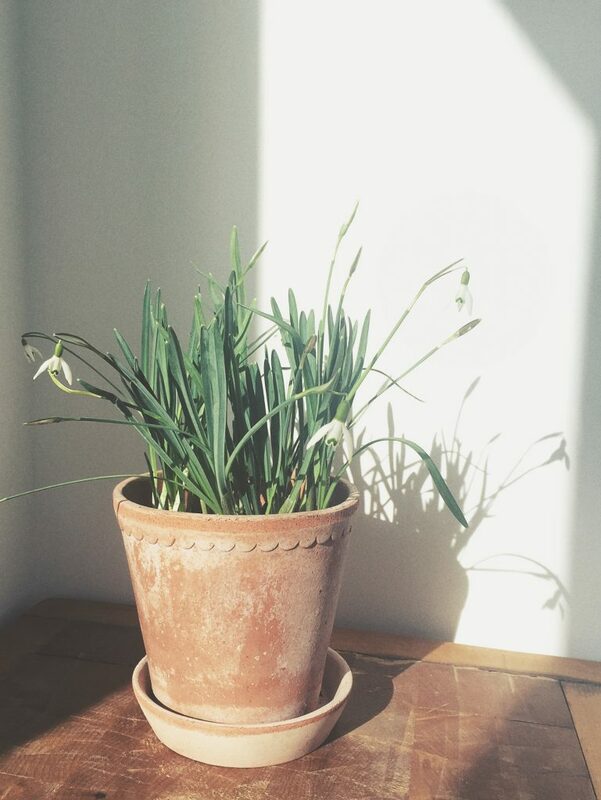 And that means… you haven’t missed your chance to plant snowdrops this year. Buy them from your local nursery or order them online right now, and you’ll be ready to plant them out just as soon as these frosts are over. 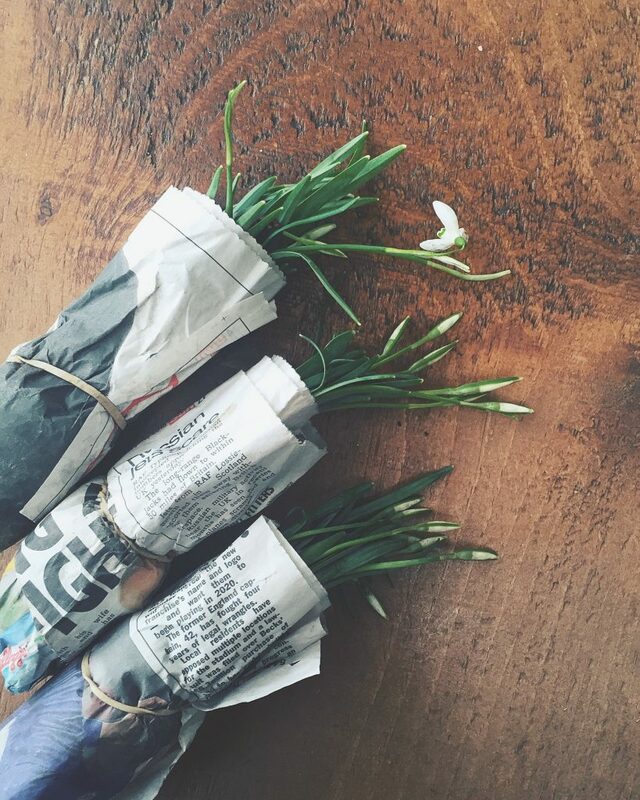 Tim found 3 wraps of snowdrops in the market last weekend and brought them back for me with the Saturday papers. Arriving in damp newspaper with pretty-much-bare roots I potted them up in some moist rich soil from under a tree in our garden. I now get to enjoy my snowdrops twice over – sat safely inside on my kitchen table while they flower, then again this time next year when they flower in their new home. Snowdrops like part shade (they’re forest flowers at heart) so I’ll be planting mine around the trunk of a tree in our front garden. Damp, rich soil is the order of the day. Dig in leaf mulch or compost when planting if your soil could do with a boost. Divide your plants into clumps of 3-4 bulbs before planting. Plant each clump about 6 inches apart so that they have room to spread out and make themselves at home. Existing plants can be lifted and divided again in late March/ early April to encourage an enormous great carpet of these late winter lovelies.